Several months back, I reviewed the Innova Protag (G1), a nifty card-sized gadget which you pair to your mobile device and alert you when the gadget goes out of range. By placing this gadget with your belongings (e.g. wallet, bag), it prevents your belongings from being left behind. As you can see above, the device is exactly the same size as a standard card. It looks pretty thick but it should still fit into your well-seasoned wallet compartment. Below: comparing with an Android tablet, the PROTAG Elite, PROTAG G1, and ez-link stored value card. The new PROTAG Elite is very much more improved compared to the first version. It is totally fuss-free: just turn on the device with a pin and pair it to your device using the Protag app (Android or iOS). It's so fuss-free that you don't even have to charge it for an entire year! I'd say they should just implant a solar panel and get rid of the USB port. Statuses of your PROTAG Elite are easily retrieved via the app. It tells you the battery level (option to disable to improve connection), last known location, update some settings on the PROTAG Elite. While the purpose of the new PROTAG Elite does not deviate from the first version, there are additional features. 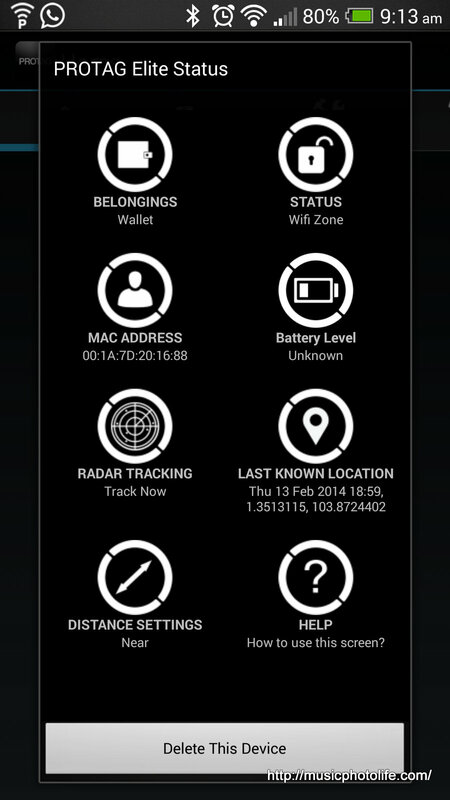 The radar tracking displays the proximity of the PROTAG Elite from your mobile device, so it helps in gauging the distance to locating your lost belonging. The new Elite also supports crowd tracking feature, allowing other PROTAG Elite users to detect lost devices and report to the owner via online. I like the new feature to disable tracking when you are within the secure zone which is defined using Wi-Fi networks, which means I will not get notifications when I am within my house. With every purchase of a PROTAG card (G1 or Elite), you can track your lost items - both your mobile and the PROTAG card - via online. It even lets you take a snapshot of your mobile device front camera. 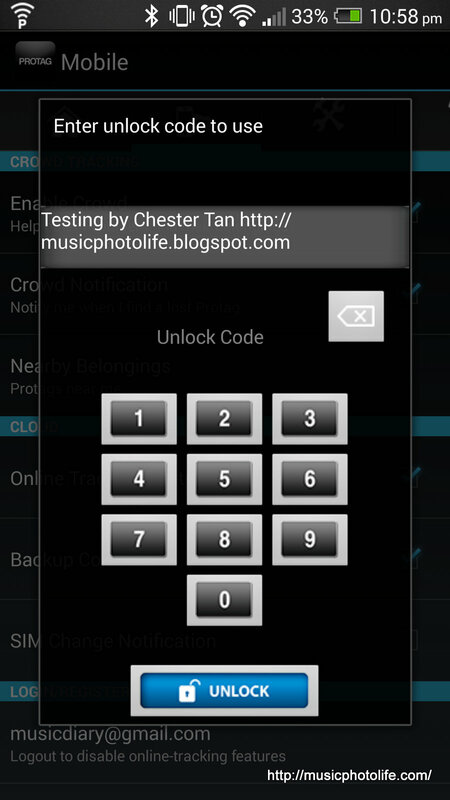 You can initiate a lockdown of your device remotely and provide a custom message which will appear on the phone screen. 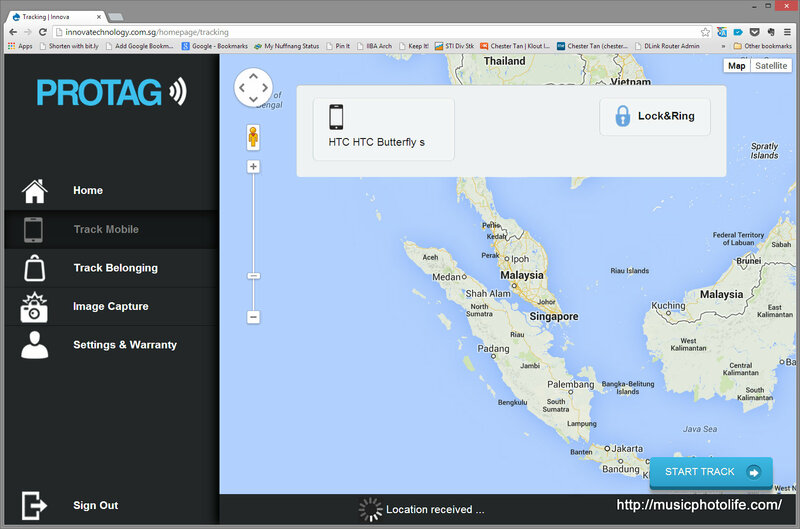 Another method is to enable SIM change notification, so an alternative number (e.g. friend, relative) will receive an SMS when the SIM card is changed. Just check out this corporate video for some real life enactment. Notice that in the video, you can even "tag" your child to prevent loss. Critically-speaking, I would say that a small limitation to this product is that it relies on the Bluetooth connectivity. In cases where the Bluetooth connection is unstable, you might get false alarms (although I did not get as much on the Elite as the G1). Also, the crowd tracking feature seems great in theory, but it can only work well if there is a large enough user base. While there are not many differences between the G1 and the newer Elite, you should get the newer model, since there are considerable enhancements, like longer battery life, radar tracking, increased range, and a longer 3-year warranty. Most importantly, it is easier to set up, which makes a fantastic gift to the elderly (as presented in the above corporate video). It's never too early to plan for the upcoming Mother's Day or Father's Day gift. The PROTAG Elite is priced at S$99 (inclusive of GST) and is available at selected electronics stores.